petition: Tell LA Animal Services to Vote YES on Plant-Based Dog Food! Tell LA Animal Services to Vote YES on Plant-Based Dog Food! Thousands of dogs are currently thriving on plant-based diets. In fact, there is no scientific evidence that dogs require meat to be healthy. 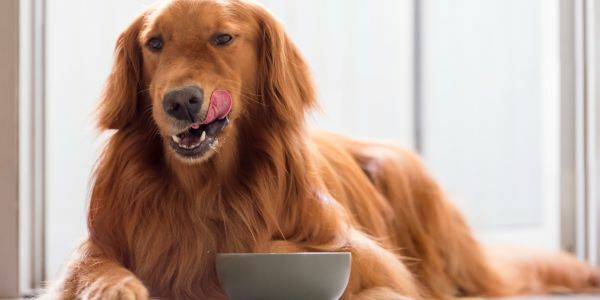 However, there is evidence that dog food containing meat meal may contribute to canine cancer rates since they contain high levels of heavy metals and carcinogenic chemicals. Help improve health for Los Angeles shelter dogs AND save 33,000 farmed animals yearly by demanding a change from the current carcinogen-containing meat-meal diet to a healthy, cruelty-free diet. Please sign this petition demanding that Commissioners vote YES for plant-based dog food! This will enable Animal Services to do what is best for the dogs in its care, while also sparing the lives of chickens, fish, lambs, and other farmed animals who are used in the current food. Approximately 1 in 2 dogs will die from cancer(1), largely contributed to by environmental exposure through diet and environment. Dog food containing meat meal (like the Canidae food the shelters currently use) has been shown to contain high levels of heavy metals, including 120 times the dosage limit of mercury recommended for humans by the EPA. (Spectroscopy Magazine, January 2011). Blood and urine samples from cats and dogs in one study were heavily contaminated with industrial chemicals, including plastics, food packaging chemicals, heavy metals, fire retardants, and stain-proofing chemicals. 11 of the chemicals detected are carcinogenic. (Environmental Working Group, 2008) These harmful chemicals bioaccumulate up the food chain, leading to dangerous levels of toxins being consumed by our beloved canine companions. Scientific evidence suggests that well-balanced plant-based diets can benefit dogs with allergic dermatitis, one of the most commonly seen canine ailments. Commercial, plant-based diets have the added benefit of containing all the nutrients a dog requires, without the cancer-causing chemicals which bio-accumulate in meat and other animal products. Practicing veterinarians Sherstin Rosenberg DVM, Armaiti May DVM, Lisa Melling DVM, Marybeth Minter DVM, Michael Roth DVM, Andrew Knight BVMS, PhD, Richard Pitcairn DVM, PhD, Erika Sullivan DVM, Margo Roman DVM, and Randall Cannon DVM are advocating for the health of LA shelter dogs, and request your support in asking the Animal Services Commissioners to support this vital measure. Thousands of dogs are currently thriving on plant-based diets, and there is no scientific evidence that dogs require meat to be healthy. Dogs are omnivores, having evolved to digest starches alongside humans over the past 30,000 years. If implemented, this measure would be a historic step taken by Los Angeles, to safeguard the health of the dogs as well as 33,000 animals currently being killed each year to feed them. Join us in making history, and sign today. (1) Heinze, C. R., VMD, MS, DACVN, Gomez, F. C., BS, & Freeman, L. M., DVM, PhD, DACVN. (2012). Assessment of commercial diets and recipes for home-prepared diets recommended for dogs with cancer. Journal of American Veterinary Medical Association, 241(11), 1453-1460. The Greenbaum Foundation will match all donations to fund this study up to $37,500. If successful, this would have the same environmental impact as taking millions of cars off the roads WHILE saving the lives of millions of farm animals! We only have 8 more days, though! Go to Facebook or gofundme to donate. The LA plant-based dog food initiative has ignited a movement to change shelters nationwide. Now we just need to help fund a scientific study that will prove what we already know: dogs are healthier on plant-based diets. But we only have until 6/30 to raise the needed $75k do it!